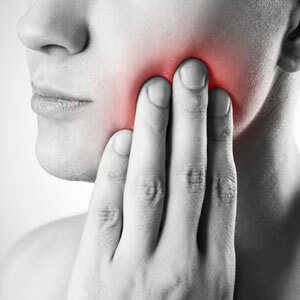 Root canal therapy is another common dental procedure we perform here at First Dental Studio. Our team of oral health care professionals are highly experienced within this field and use advanced dental technology to provide precise treatment. Root canals are performed when an infection has seeped into the nerve of a tooth. The pulp (nerve chamber) must be cleaned out, before the chamber is then sealed off. Even if you believe your symptoms are too mild to be an infection requiring root canal therapy, it is important you schedule a consultation with our team to let our professional dentists assess your situation. We always assure our patients that root canal therapy is a relatively simple, straight-forward, and comfortable procedure. Our advanced rotary endodontic instruments not only help to reduce your time spent in the chair, but they also produce superior, precise, and highly successful results. Before we begin the procedure, we carefully numb the area surrounding the affected tooth. In some circumstances, we may also prescribe an antibiotic to alleviate any residual infection before we begin treatment. To further ensure the comfort of our patient, we also provide a small prop for you to rest your teeth on, ensuring your jaw does not become tired from keeping your mouth open for this period. The procedure simply involves removing the affected tooth’s nerve and pulp, before cleaning and sealing the area. The tooth will also need a crown placed over it to prevent the non-vital tooth from wearing or chipping away. Thankfully, First Dental Studio offers beautiful white crown options for such cases. Are you experiencing any of the symptoms listed above, or wish to discuss root canal therapy further? Please schedule a consultation with our friendly team today so they can assess your mouth and advise you on the required treatment.